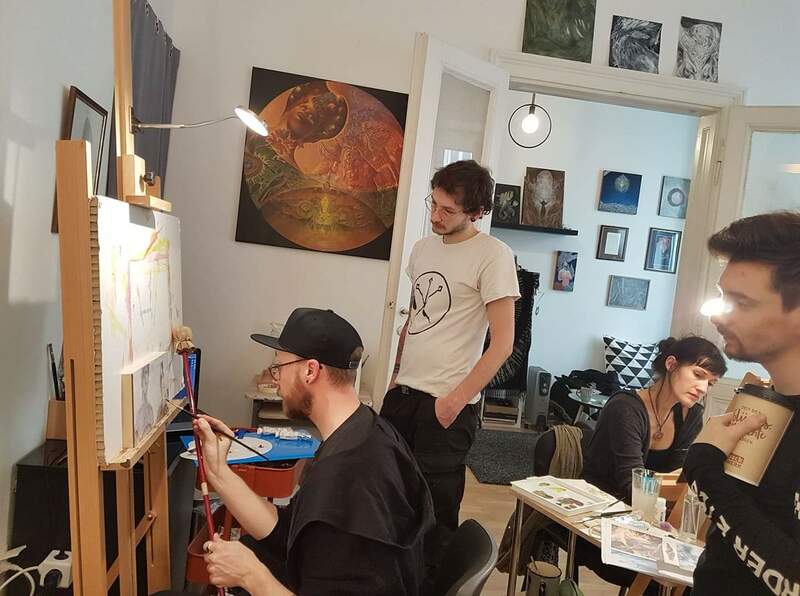 Interested in learning painting or drawing from me? 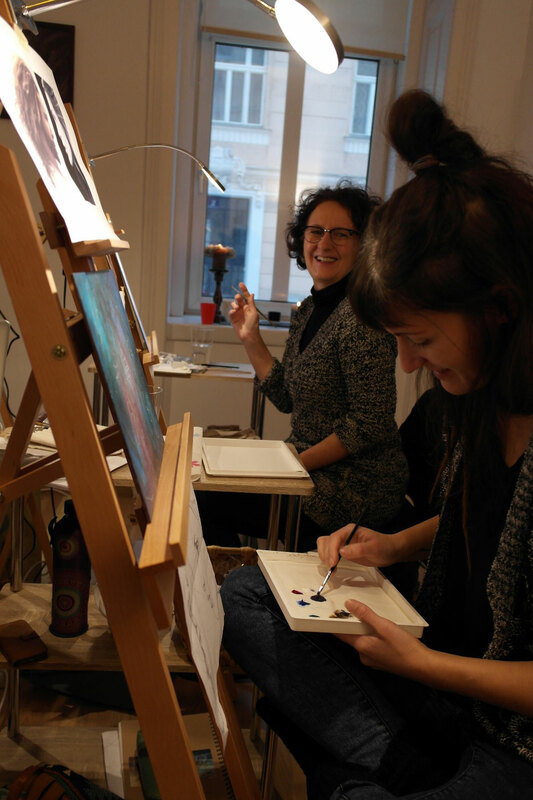 I teach at art seminars, run my own painting workshops and I offer private art lessons you can take part in. Feel free to contact me for more information if you have questions. 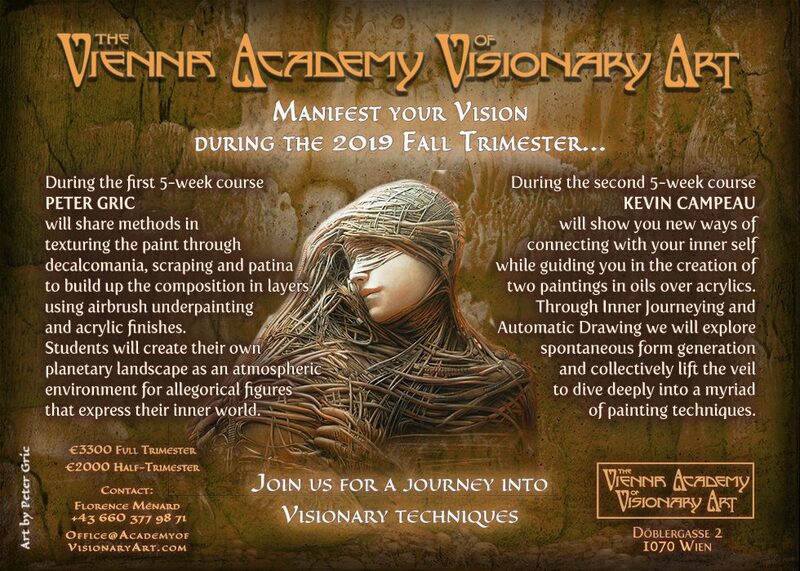 "To say I was blown away by Kevin’s teachings is an understatement. 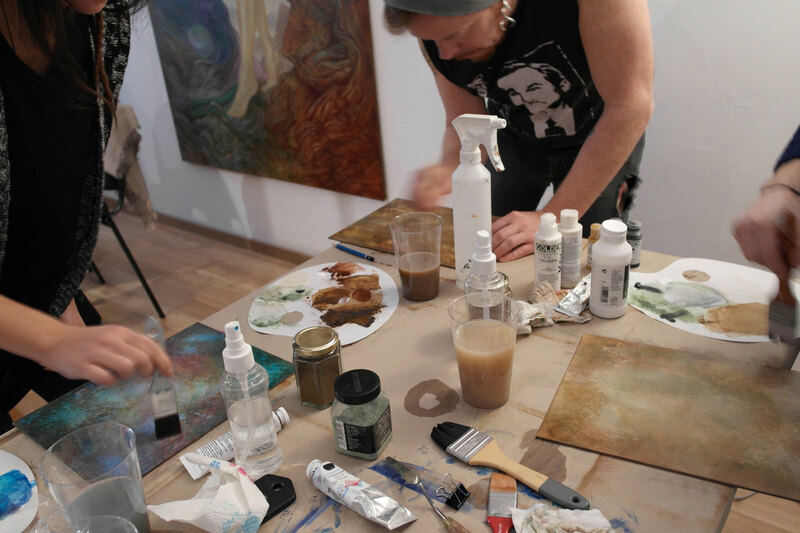 From theory on the canvas, to theories of the soul, there isn’t a better person to learn such a holistic approach of painting from than him. 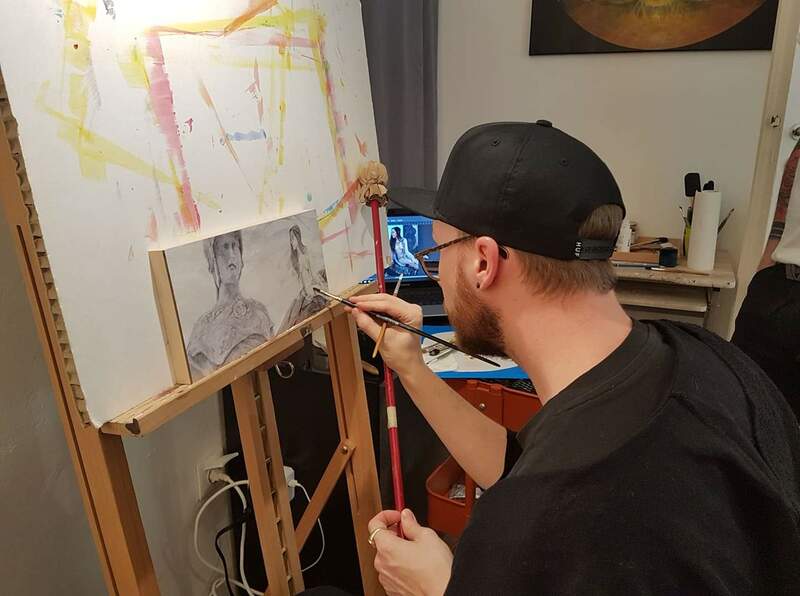 His high caliber of technique and skill condenses his knowledge in a very approachable format that aims to level up artists of any level - from very beginners to experts. 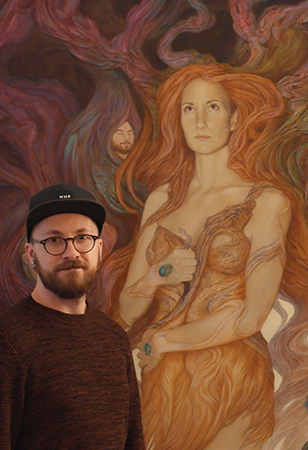 He focuses on each person to help them where they are at on their journey and adapts to each artist's needs, all while holding true to his own unique vision and unbelievably detailed works. These are my words to anyone thinking of taking the course but not fully sure - just DO IT. As amazing of a teacher that he is, he is also just an amazing all around human, who seeks to inspire and uplift those around him." "The Vehicle of the Will represents the inner and outer senses joined as one. 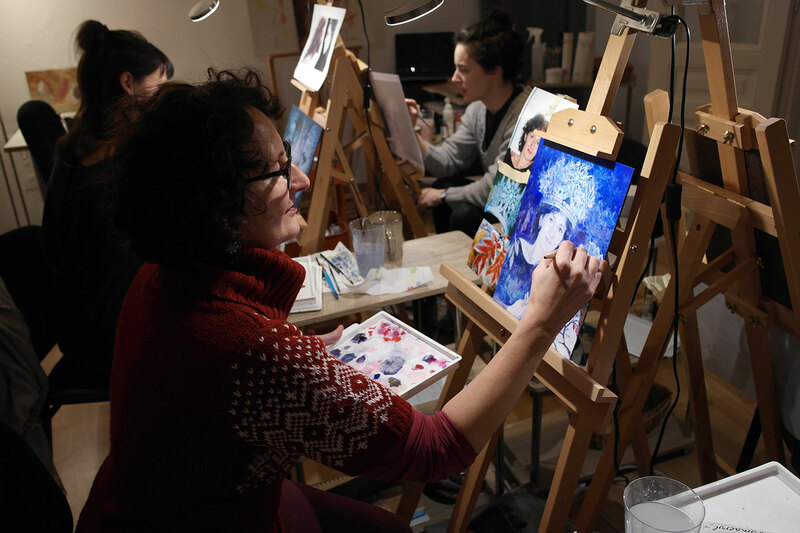 As we take time to explore creatively in our lives we can begin to realize how many different sensual layers are involved in how that exploration takes place. Our inner senses are often treated as secondary to our outer ones and depending on how much we actually focus on working with them, may well go undeveloped. As gateways which lead directly to our ability to imagine anything, the potential they have to inform and expand our experiences is vast." 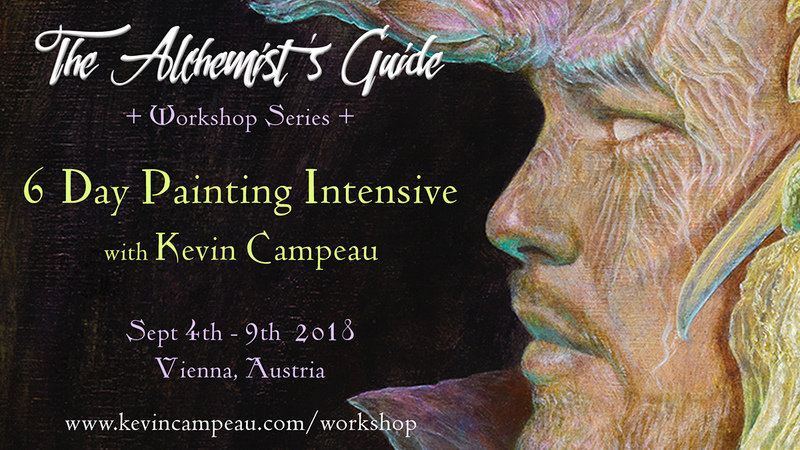 Teaching ways to locate, hone and balance your inner senses with your creative practice is what Kevin Campeau will be focusing on teaching in his 5 weeks with us at the academy. He will guide you through the creation of one large work and one small work. 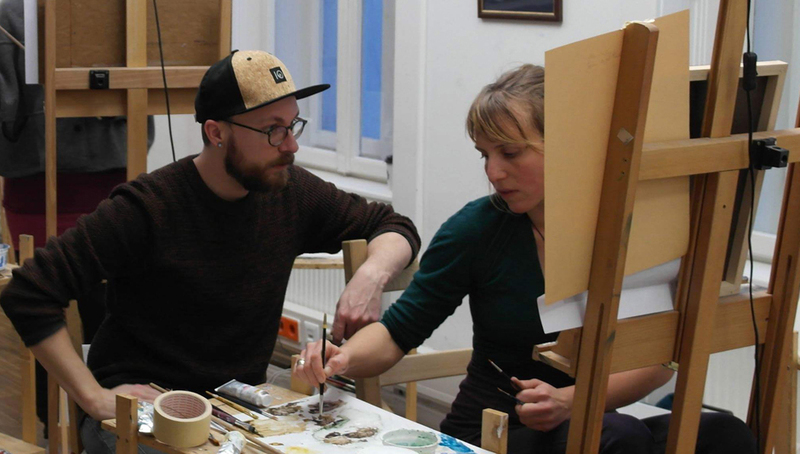 Centering on the theme of 'The Vehicle of the Will', he will teach you about a series of practices, from Inner Journeying to Automatic Drawing to develop ideas, to drawing your compositions on toned paper and painting them on canvas in both acrylic and oil. Kevin will begin by teaching you The Trifold Approach to Inner Journeying to help guide you to discovering/exploring your own inner cosmos. 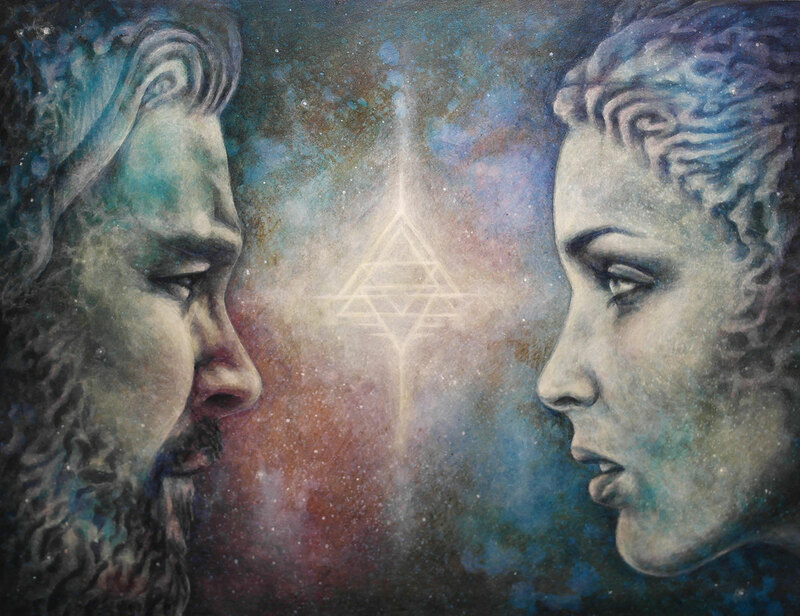 The primary goal will be to first connect you with your own inner senses in the form of Spirit Allies. On the way you will also be inspired with creative ideas for your compositions. Throughout the 5 weeks several more Inner Journey sessions will take place to help you go deeper with the process. Each session includes the student using creative writing to record their journeys as well as a sharing circle. He will also be discussing topics in relation to his personal experience with Inner Journeying spanning over 15 years. 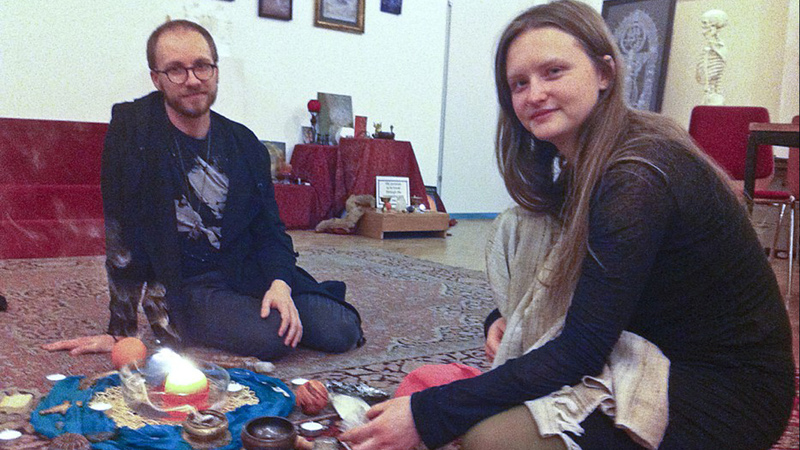 These include alternate meditative practices to help expand your connection with the inner senses, the development of a personal symbolic language, idea consolidation and the building of one's own Alchemical Memory Palace, dialoguing with Spirit Allies and ways of mapping inner territory. 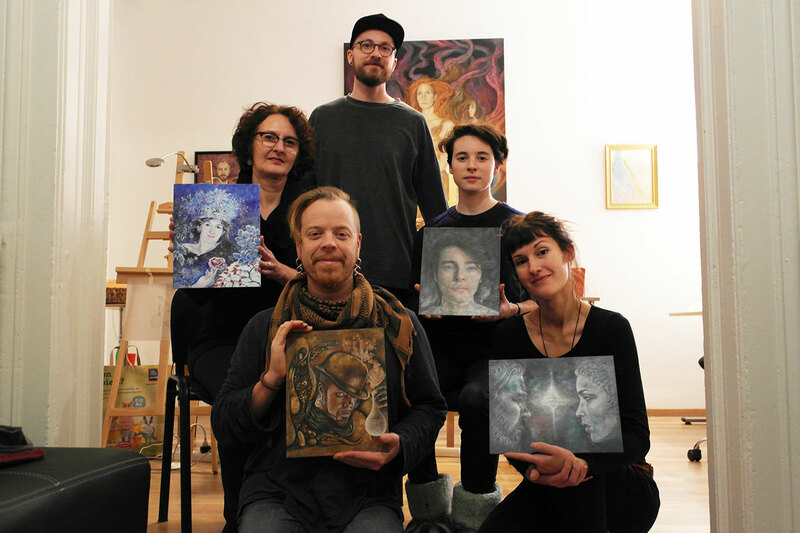 After your initial Inner Journey, he will begin to share with you an array of art techniques. 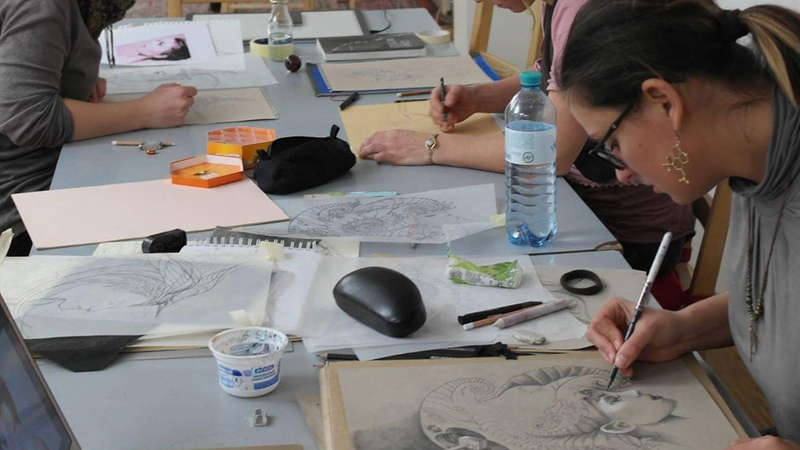 You will learn different ways of doing Automatic Drawing as a warm up exercise as well as to create unexpected movements, forms and contours to incorporate into your compositions. 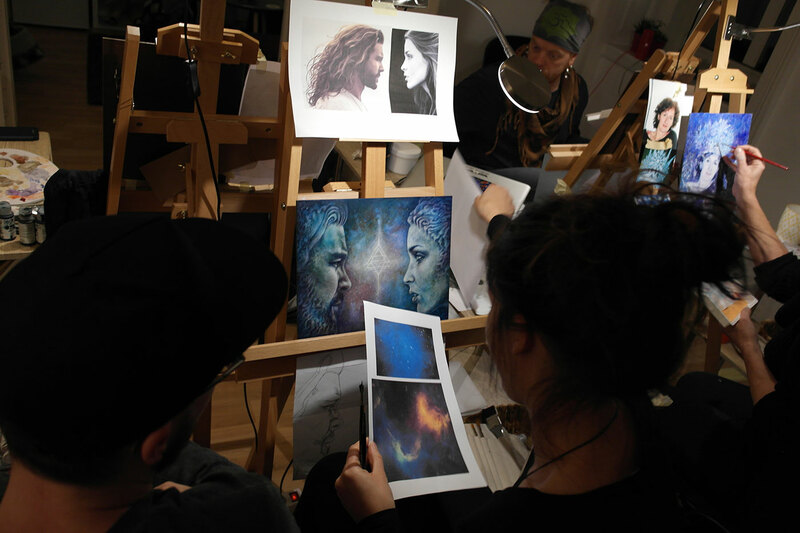 Based on select imagery from your Inner Journey and the theme of 'The Vehicle of the Will', the joined inner and outer senses, you will then create drawings on toned paper with graphite and chalk to flesh out your compositions and work out values. 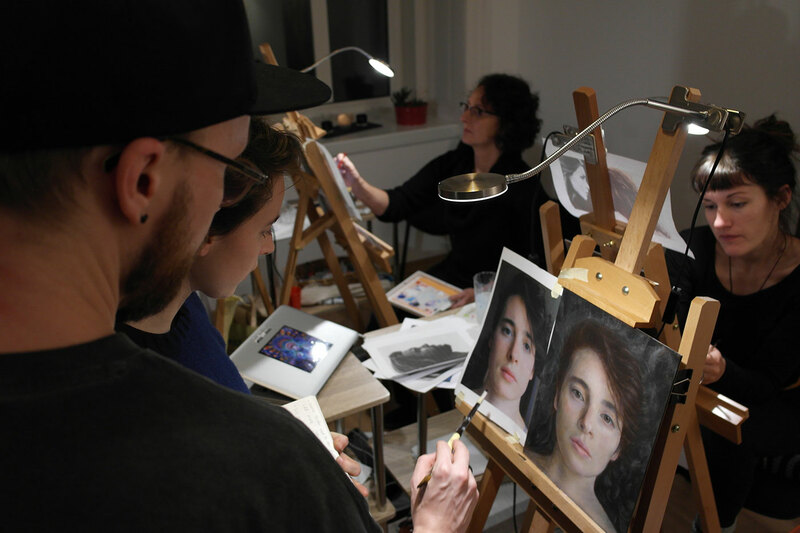 You will learn how to begin the first stages of your paintings in acrylic, creating dynamic imprimaturas (base layer) in mid-tones. You will learn how to make your own neutral tints to start building your forms and shadows and how to balance these with volumes and highlights in whites. 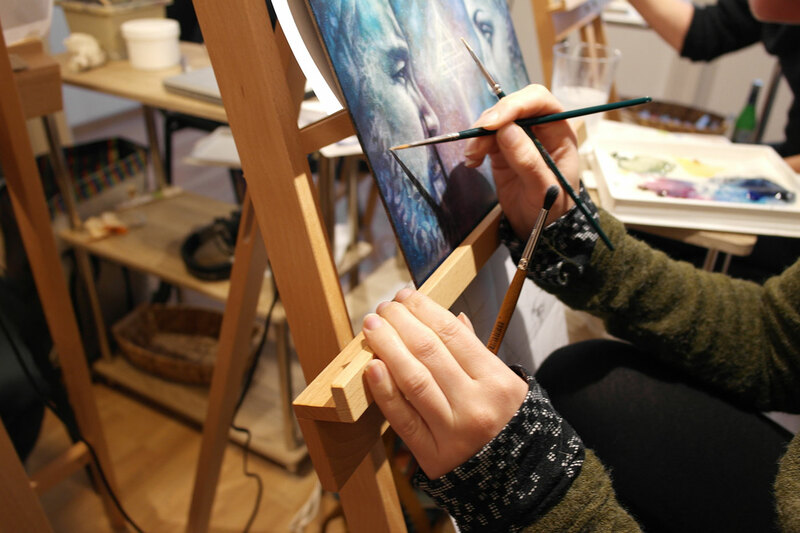 You will then move into colour glazing with acrylics. 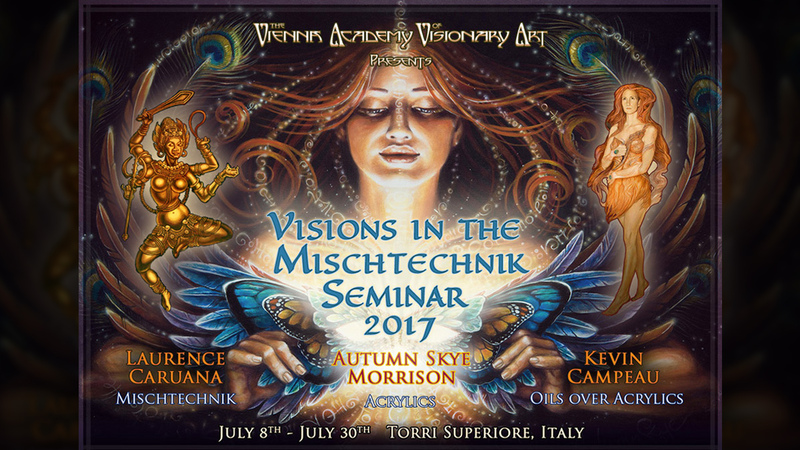 During this time Kevin will also teach you his Vitreous Technique, a way of creating both dark and light glass-like effects. 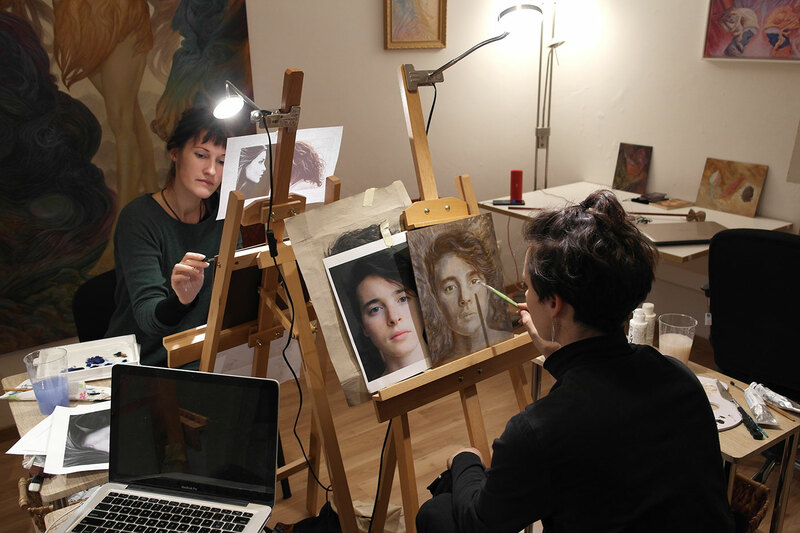 About halfway through the course you will switch to painting in oils. 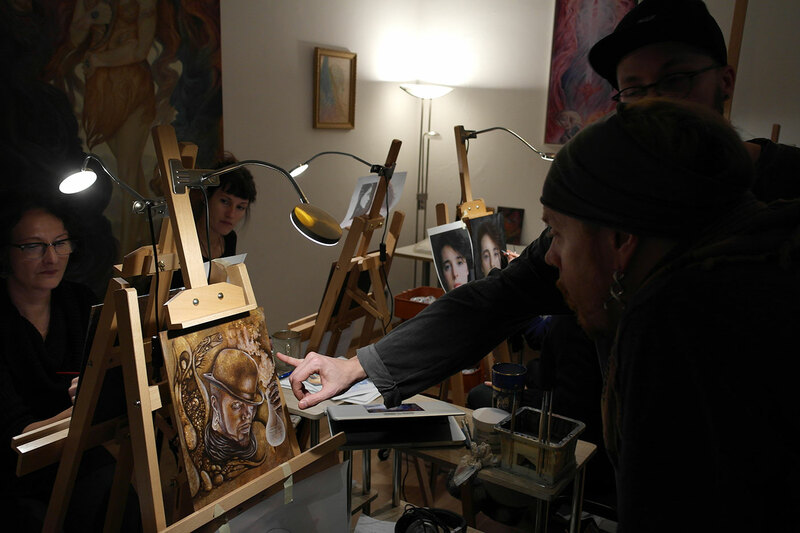 Kevin will teach you how to enhance areas with oil color glazes and add finishing refinements and details to come to completing your works. "The outer activities which we take part in relate to the development of our more subtle inner senses. 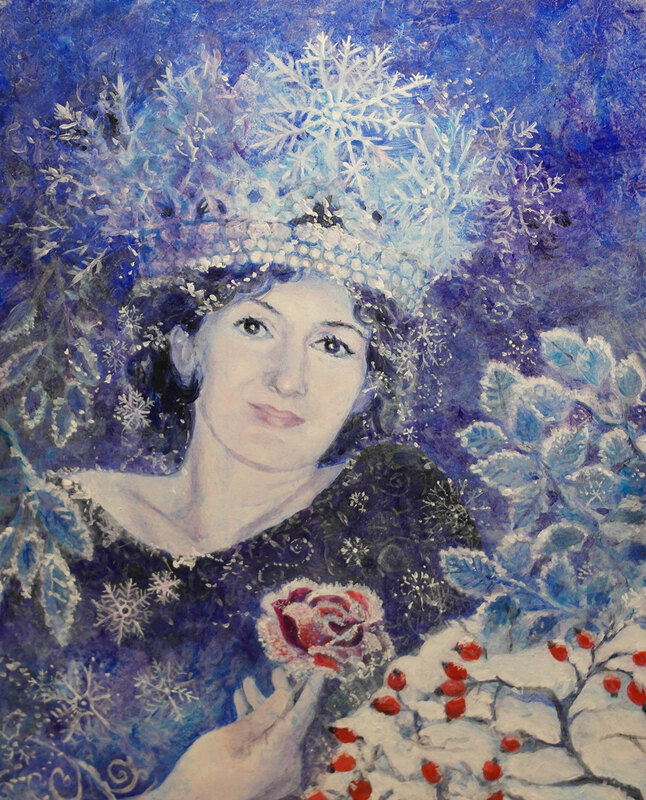 Along the path of being an artist we often may begin to focus into just one or two of these 'hidden' senses, for instance into inner seeing or inner touch. Yet there are more present, like inner hearing, which are worth developing. This helps to give us a fuller 'picture' of ourselves and of others and of the things we are creating personally and collectively. 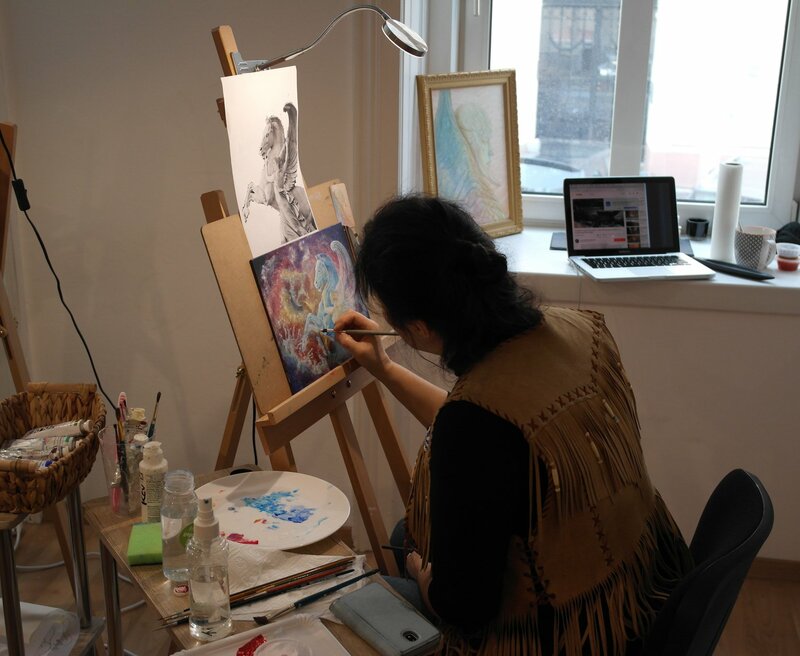 It may seem less important to spend time 'hearing' inner sound as a visual artist, yet from personal experience it is one inner sense which seems to catalyze the rapid expansion and connection of others. Take the spoken word for example. We say things that often map our movements – physically, emotionally, psychologically and otherwise. We use our words then to guide ourselves. Words evoke imagery, often memories. One word may have countless images connected to it in your imagination. These are countless possible portals which can be entered and explored with Inner Journeying. We have the ability to condense and focus our inner senses to allow what we consider to be 'our' thoughts to speak up for themselves, to show us what they represent and symbolize on a deeper, more essential level. 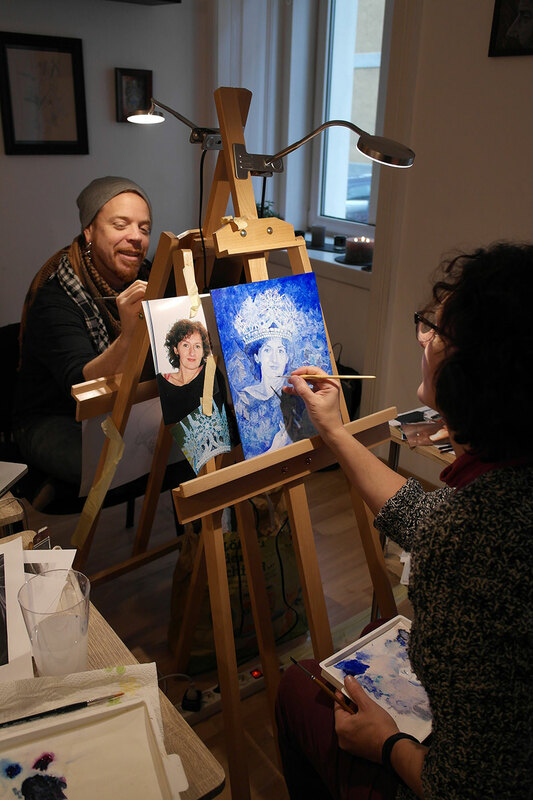 Not only does this lead to transformation and growth for us personally, but when we include these meaningful thoughts somehow in our work, by drawing or painting them directly or indirectly implying them, something highly intentional takes form which we can share. This intention is felt by others, it can be witnessed in the vibration of the work of art, and it acts to inspire transformation within them." ✯Click here✯ for more info! 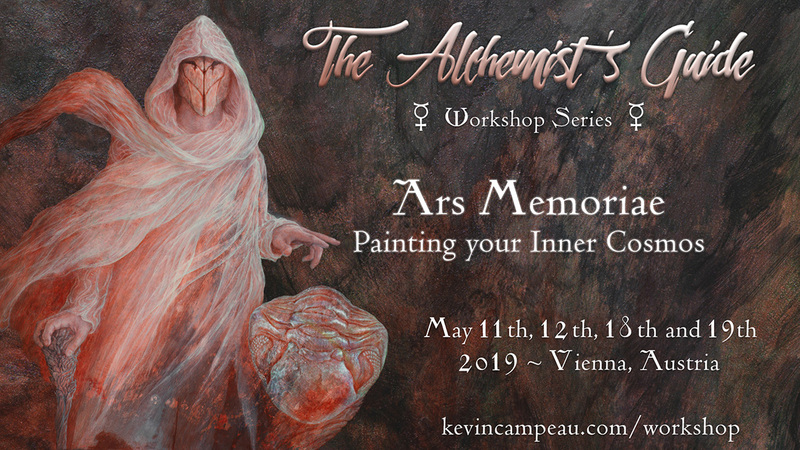 This will be the fifth workshop in the Alchemist's Guide Workshop Series and will be focused on painting a figurative image from your own Inner Cosmos in acrylics. By figurative I mean one or more beings, be they human, human-like or non-human beings. Ideas that might strike inspiration are Archetypal and Mythical beings, Deities, Celestial or Divine beings, Wrathful beings, Chimeric beings, Spirit Animals, etc. 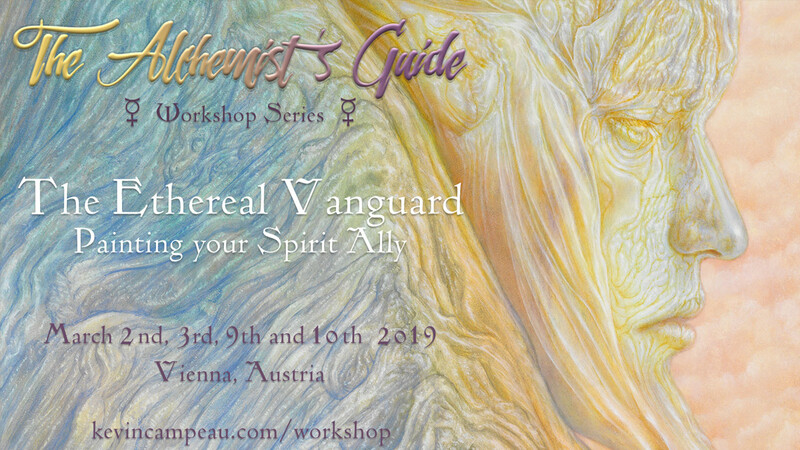 You will first learn the Trifold Approach to Inner Journeying, my time tested method of fluidly activating the inner senses, to help you connect with aspects of your own Inner Cosmos, including meeting the subject(s) of your piece in the form of a Spirit Ally or Allies. The essential meanings of the individual parts of your journey will be further uncovered and distilled for you. *Please see below. 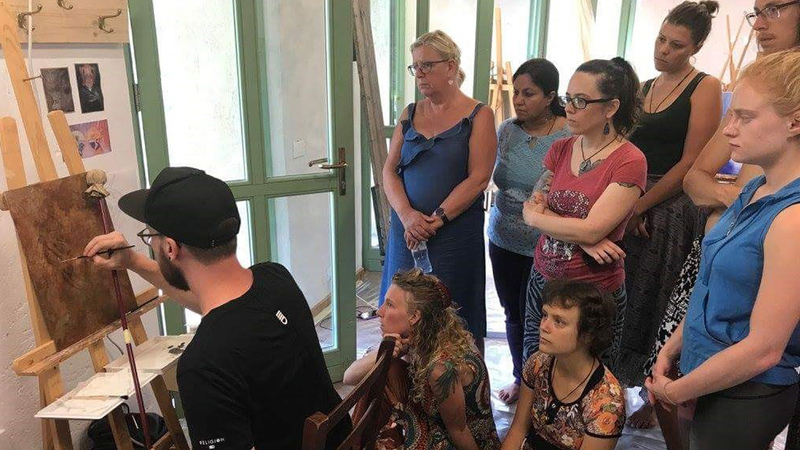 From here you will learn how to create a textural imprimatura or base layer, the 'Prima Materia' of your painting, inviting unexpected elements to appear. 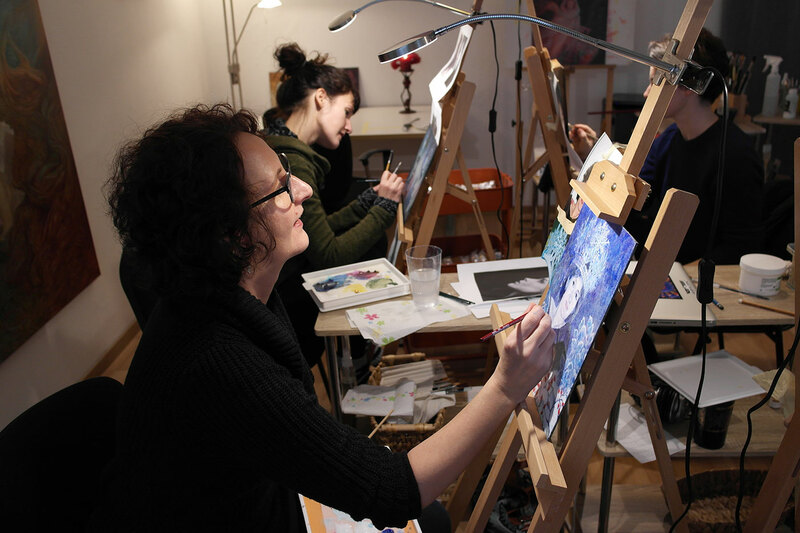 You will learn how to transfer your composition and begin a monochromatic underpainting, developing values and creating volume and depth with shadows and highlights from a mid tone. 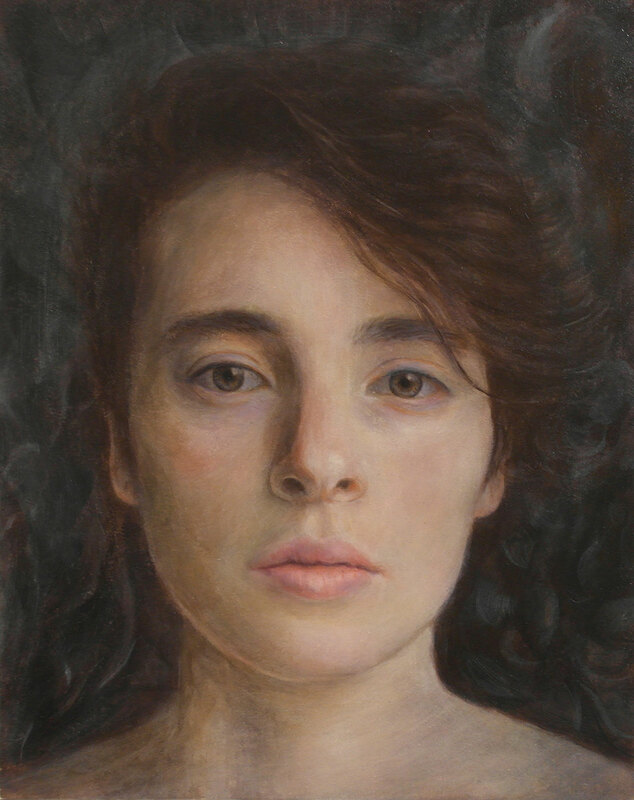 You will further learn about colour glazing and adding layers of refinement. 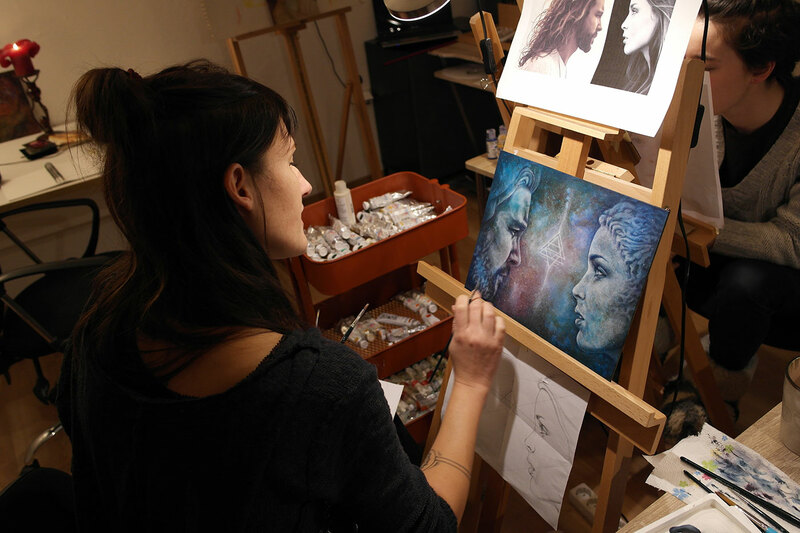 During this process I will teach my 'glasslike' Vitreous Technique, a way of creating fluid glasslike and gemlike effects which can be incorporated into your piece. 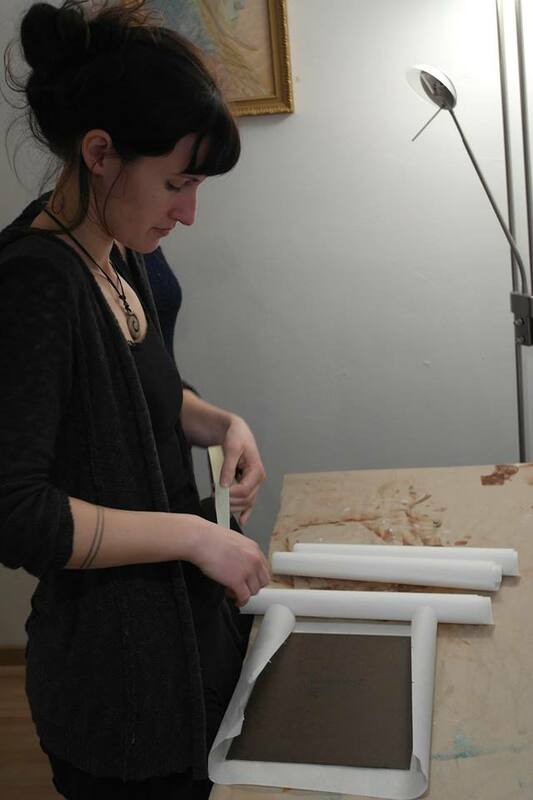 I ask that before the workshop you develop an idea or two for a composition for yourself. 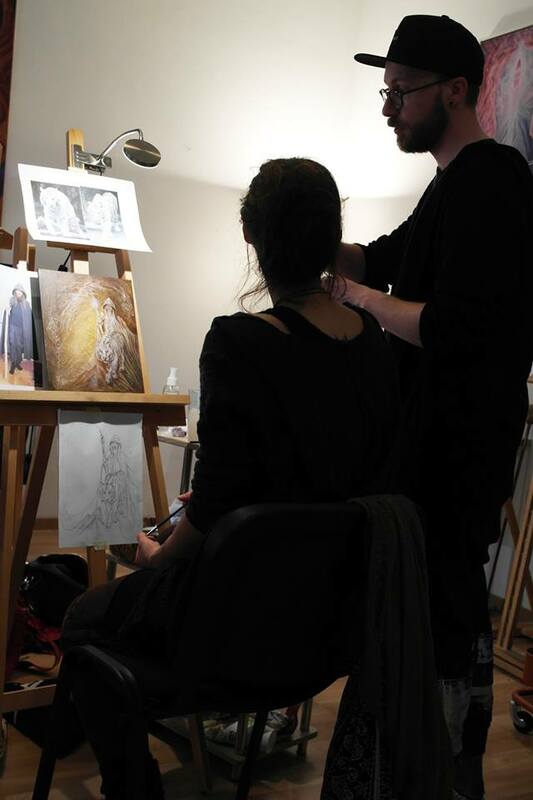 Prepare a set of photo references and/or drawn references which you can use to begin picturing the portrait. 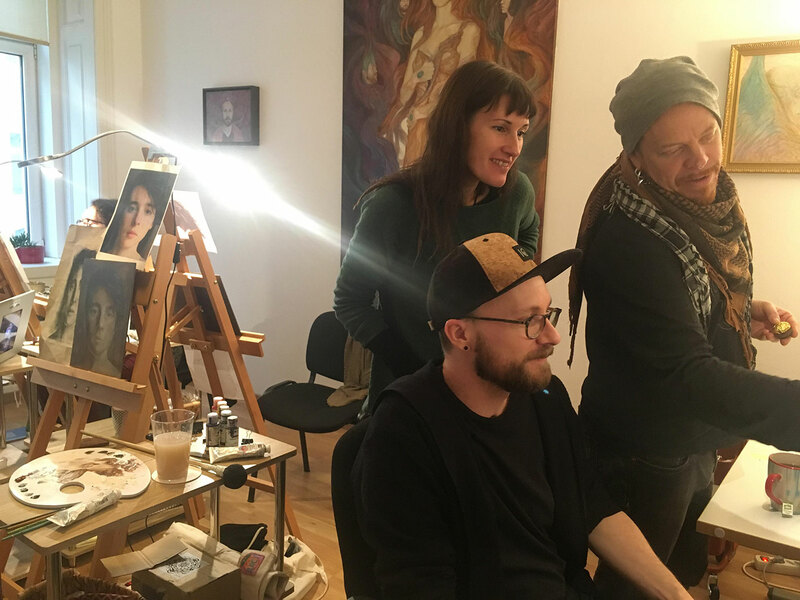 If you wish to do a human face, bring a good photo of that face printed at the size of the gessobord that I am providing you. 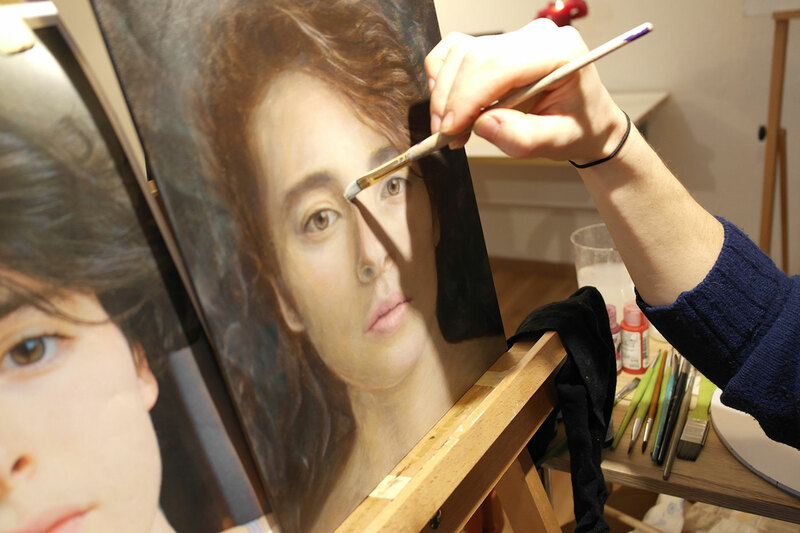 You may also draw the face (but please bring the photo reference along). If you want to paint an animal, same idea. 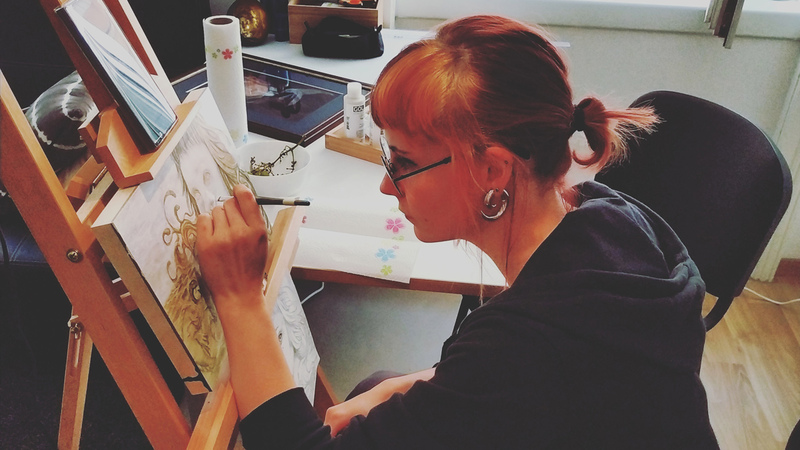 If you want to paint an imaginal creature, prepare a drawing of it at that size. 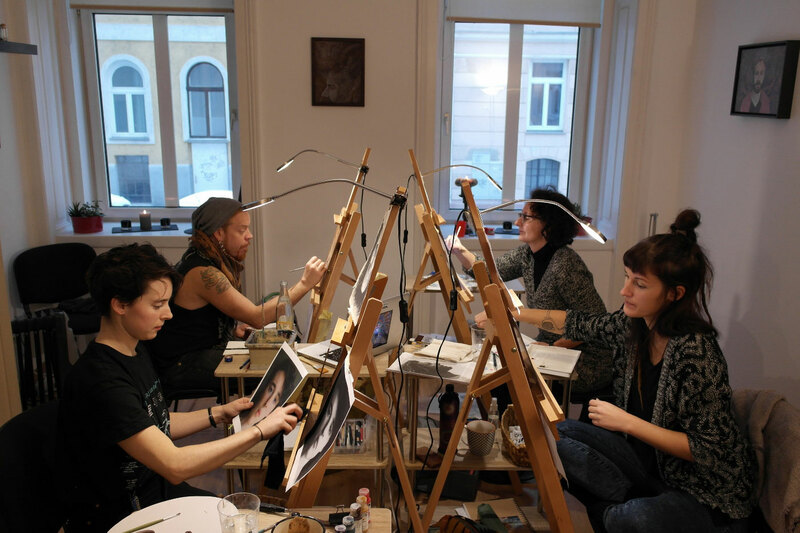 There will be no drawing time set aside during the workshop. Bring other photos that might inspire forms and colour choices/combinations for you. You are also welcome to bring your laptop/tablet to view your references on. Feel free to send me a message if you need some advice with your references. One Ampersand gessobord per student – size is 24x30cm, acrylic painting medium, tracing paper, transfer paper, masking tape, paper towels, light table, cups for paint water, spray bottles and access to my collection of Old Holland and Golden Acrylic paints if you do not have your own. Refer to the separate Materials List on my website to know what you need to bring with you. 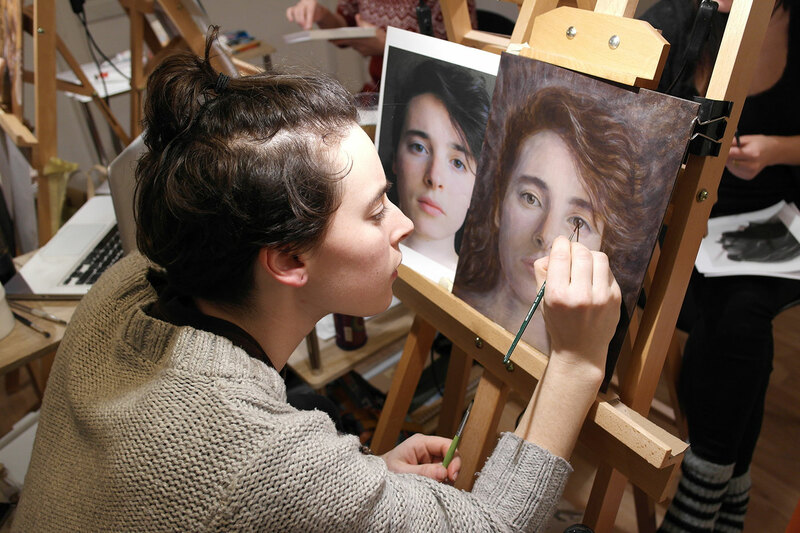 *Due to time, the main purpose of doing the journey will be to teach you the approach and for inspiration during the painting process, rather than deciding on a final composition. You can choose between PayPal (credit card option available) or Bank Transfer (details given upon request). Please write your preferred method of payment above, agree to the terms and conditions and press SEND SIGN UP REQUEST. I will respond by email to confirm you are signed up for the workshop. If you wish to use Bank Transfer, I will also send you my bank details. If you wish to use Credit Card or PayPal, you may proceed with the payment by following the link which appears onscreen after you press SEND SIGN UP REQUEST. You may still use Credit Card to pay using this method without having a PayPal account. By clicking SEND SIGN UP REQUEST, you agree to our Terms & Conditions and that you have read our Data Use Policy, including our Cookie Use. Your signup request was sent, thank you! 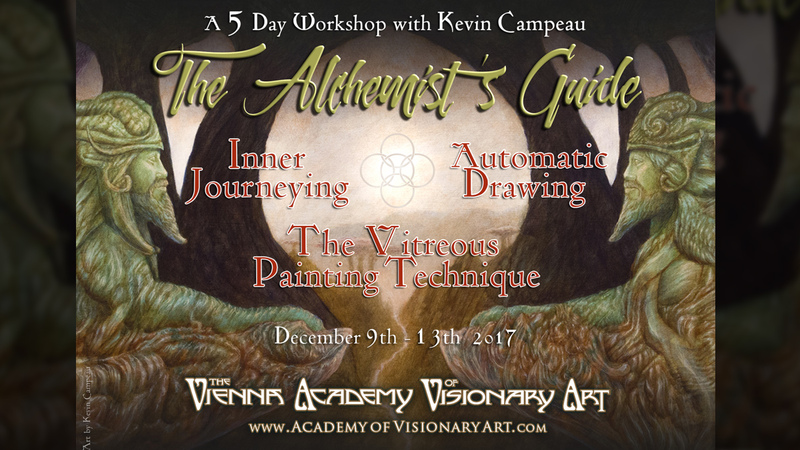 "Kevin Campeau is an illuminating teacher with a compassionate approach. He offered me options of what I could do with my painting at critical moments and he also fully supported how to best reach my own ideas. 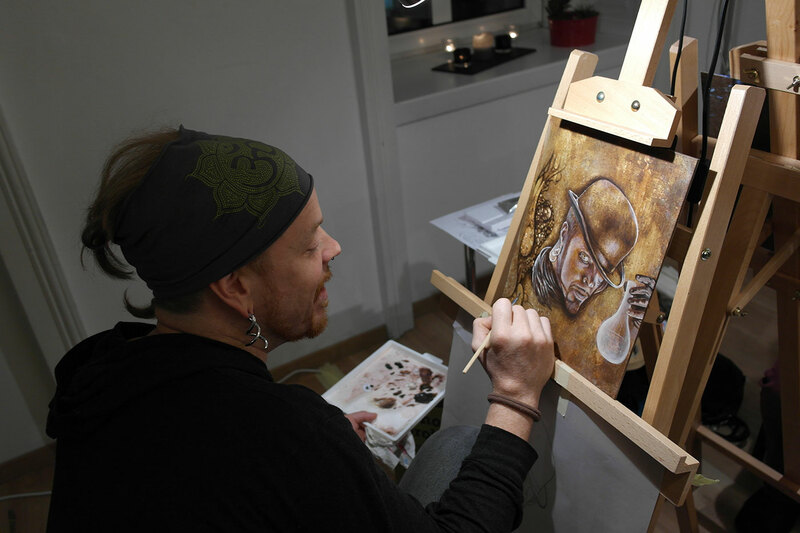 Kevin provides neutral feedback that improved my work and inspired me to get back into the studio after learning with him. 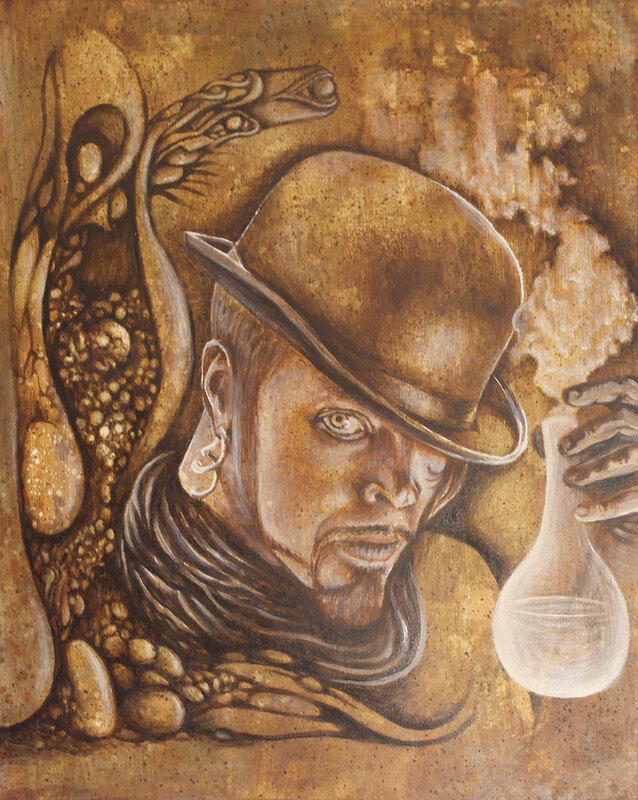 Kevin holds a deep knowledge of materials, art history, and he is unhindered when demonstrating and sharing his technique. 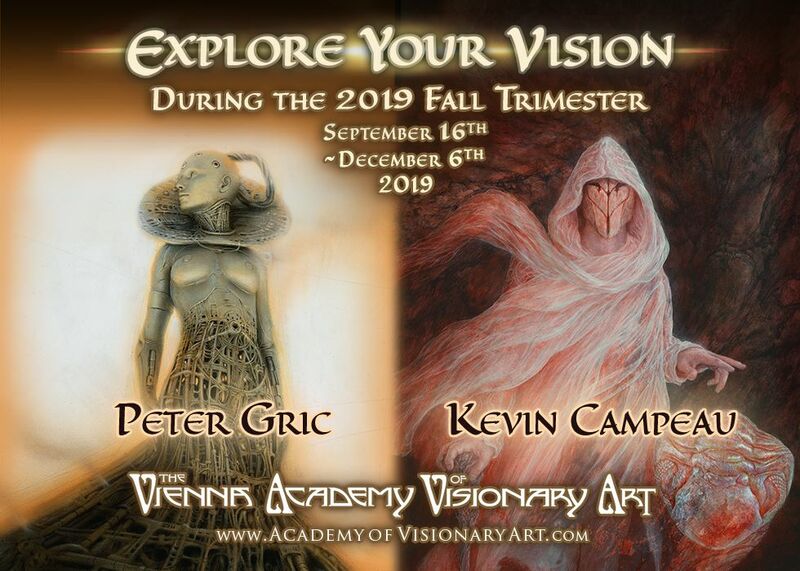 I would recommend anyone who is interested in improving their technical painting skills and willing to journey deeper into their visionary practices to learn with Kevin." - Acrylic painting techniques including my Vitreous Technique, a way of creating fluid 'glasslike' effects. 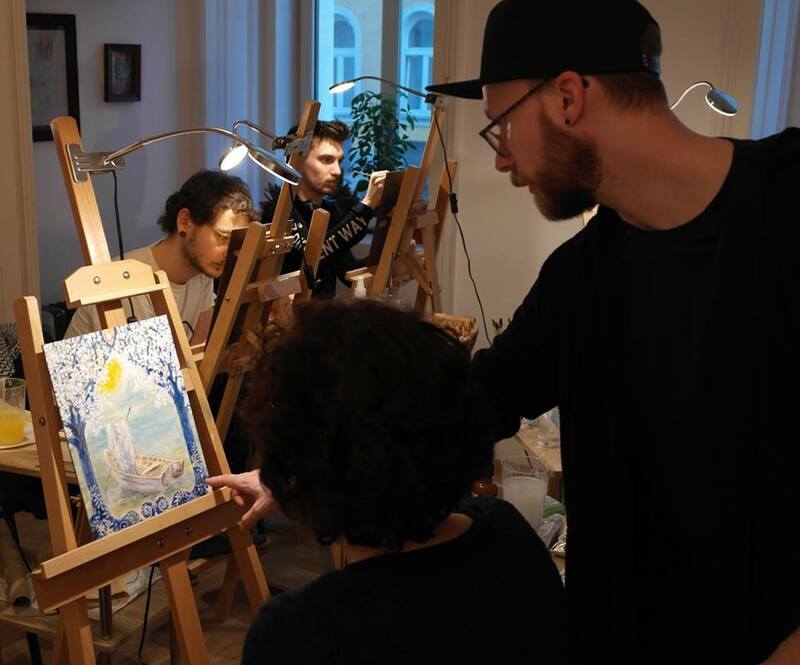 - Oil painting techniques including the traditional Mischtechnik, handed down from Prof. Ernst Fuchs. Students can hire me at an hourly or half day rate. 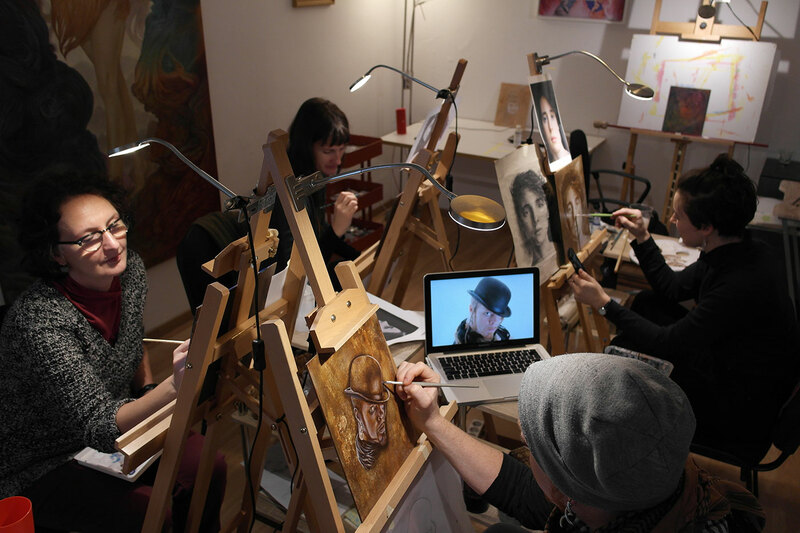 You can book a private art lesson right now by clicking the Add to Cart Button. You will be directed to pay via Paypal or Credit Card. Once you've paid, please contact me to set up your appointment. 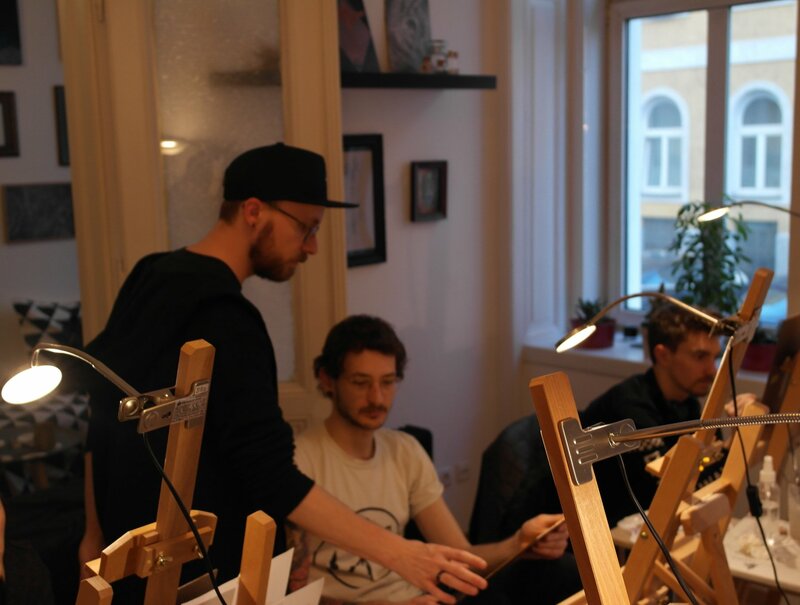 "I’ve returned to Kevin as a teacher for several times now, because I really appreciate the unique softness in his style. I really fancy the translucent, gemlike effects in his paintings and the way he plays with transparencies. As a teacher, Kevin is fully present and always there to offer ideas and suggestions. I find his tips very valuable and appreciate that he is not trying to impose them on any of his students. He is there as a guide when needed, but gives a lot of freedom to realize one’s own vision. His approach to Inner Journeying has opened up whole new worlds for me and provided an endless source of inspiration. I’m really thankful for that." 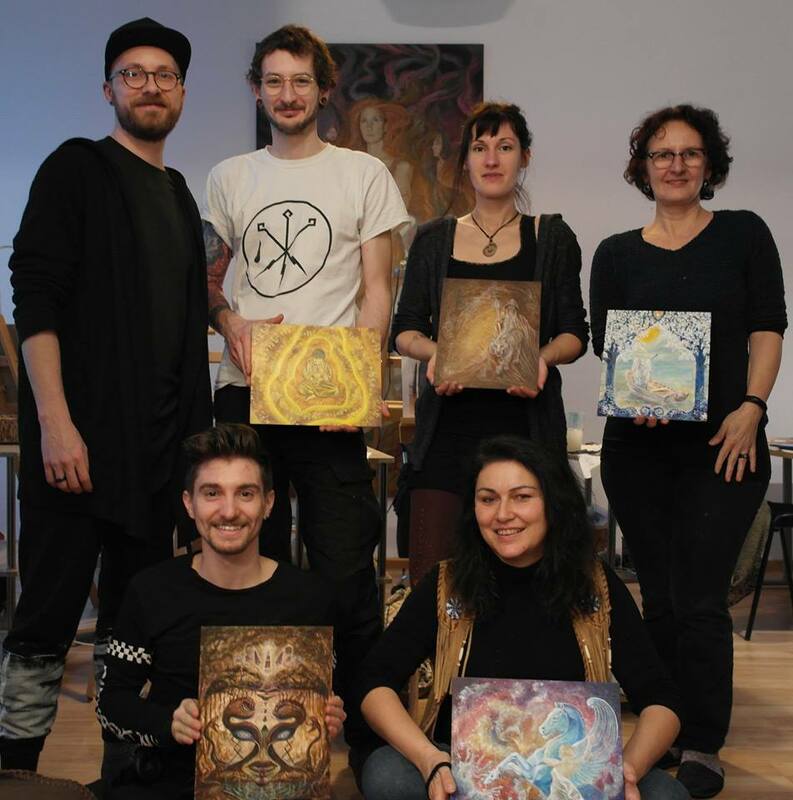 This will be the second workshop in the Alchemist's Guide Workshop Series and will be in the form of an intensive focused on developing a painting in acrylics. 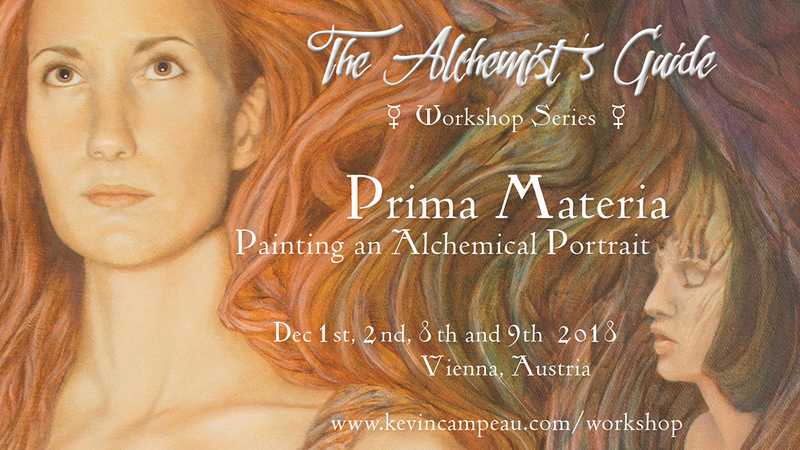 Join me for 5 days of focused creative and alchemical exploration. Learn my Trifold Approach to Inner Journeying and open to sensitively connecting with your inner realms and inner guidance. 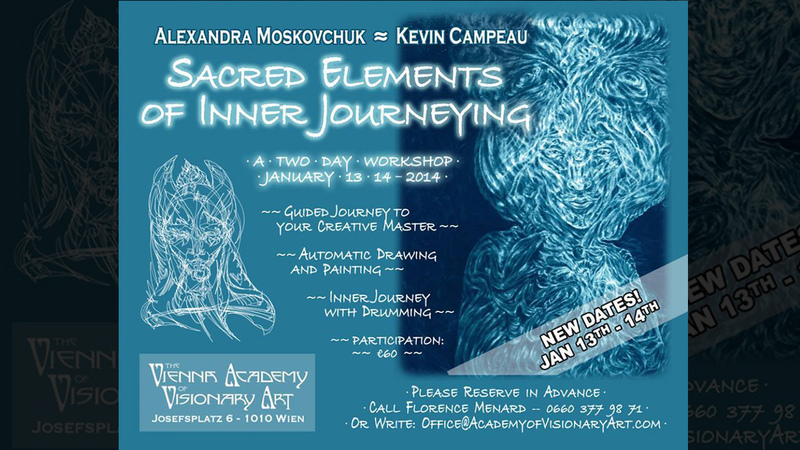 "Kevin takes you from the beginning to your own essence with a deep Inner Journey. It's an auto-exploration of your true self where you find out latent secrets that you probably had never seen before. If you're willing, you can transmit it to your empty canvas. 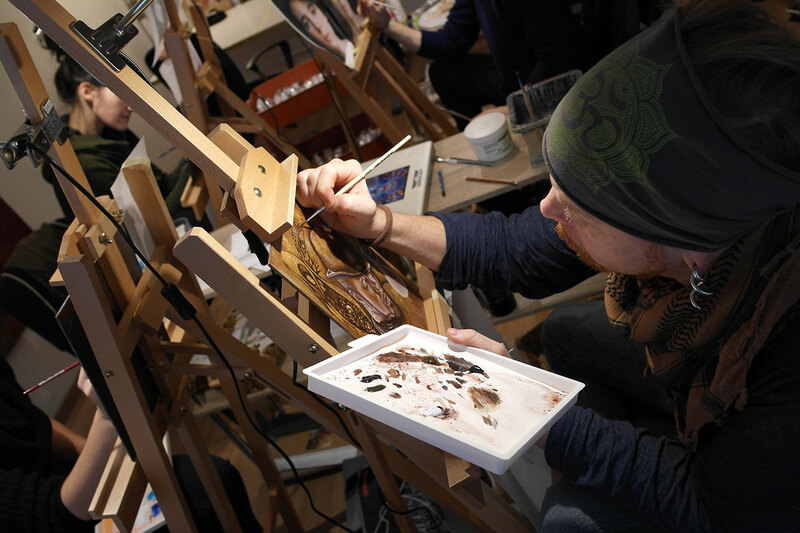 With his technique, starting with acrylics, he guides you to paint with your intuition, finding shapes and textures everywhere, bringing form and life to them. This method connects you with your true self and at the same time it can be very fun. He teaches you about light, shadow, composition and colour. His technique is the one that I like the most and I feel most connected with. 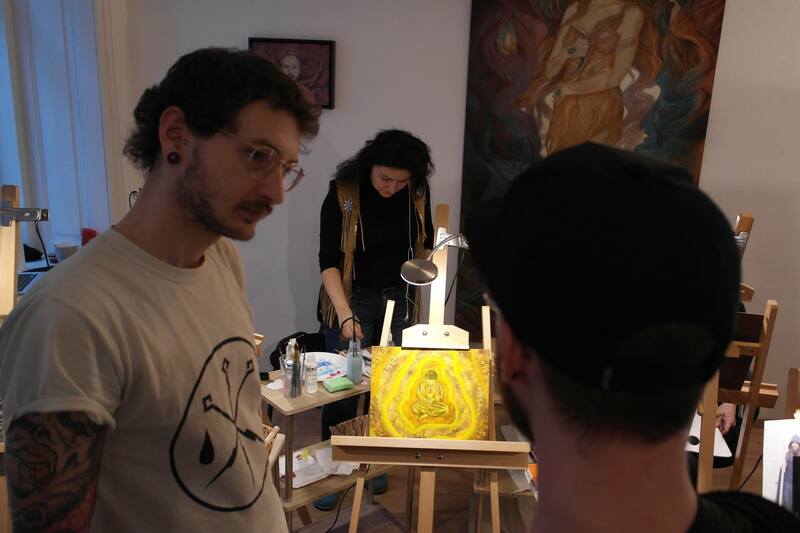 I love his "Vitreous Technique", it can become very interactive. I recommend it to everyone! He is a wonderful teacher, very patient and also a loving being."